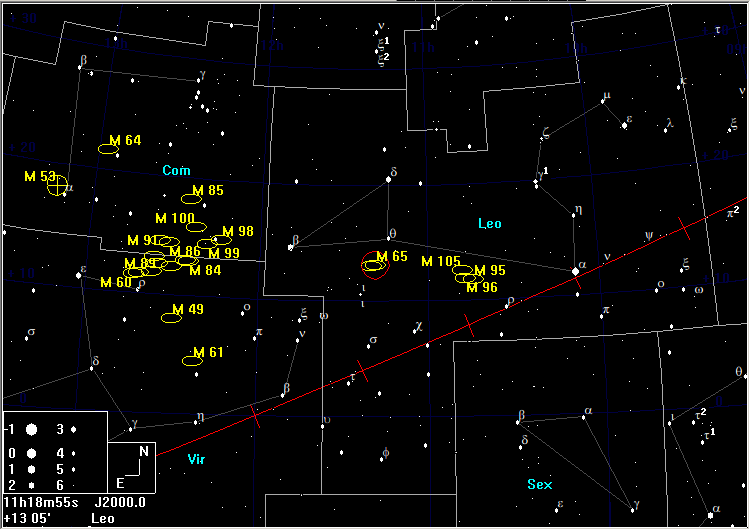 Put θ Leo (Chort) at the N of the field and find 73 Leo 2° to the S. Place 73 Leo at the W of the field and the galaxies should be visible near the middle. 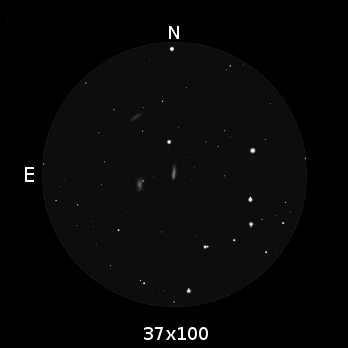 These galaxies are nicely framed in a 2.5°field. 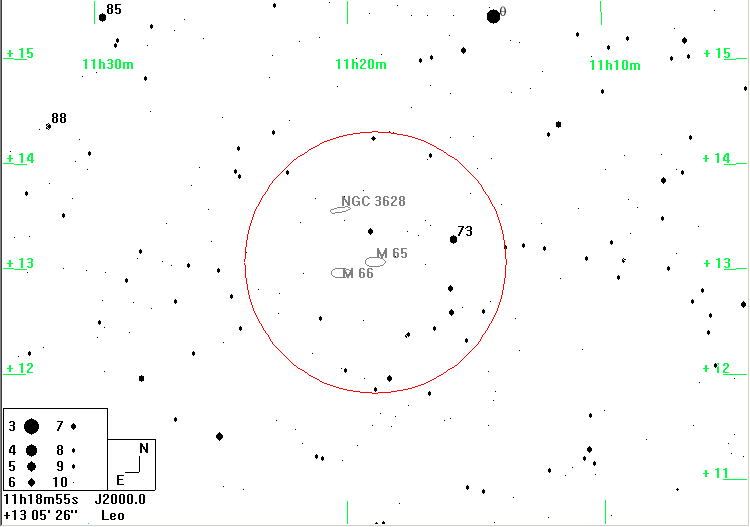 Although they are visible as flecks of light in 10×50 binoculars, they are distinctly better at ×37 and the difference in shape of NGC 3628 becomes apparent.